Max Boot: Sick and tired of Trump? Here’s what to do. I'm sick and tired too. I’m sick and tired of a president who misuses his office to demagogue on immigration — by sending 5,200 unnecessary troops to the border and by threatening to rescind by executive order the 14th Amendment guarantee of citizenship to anyone born in the United States. I'm sick and tired of a president who cheers a congressman for his physical assault of a reporter, calls the press the "enemy of the people" and won't stop or apologize even after bombs were sent to CNN in the mail. I'm sick and tired of a president who employs the language of anti-Semitic conspiracy theories about Jewish financier George Soros and "globalists," and won't apologize or retract even after what is believed to be the worst attack on Jews in U.S. history. I'm sick and tired of a president who won't stop engaging in crazed partisanship, denouncing Democrats as "evil," "un-American" and "treasonous" subversives who are in league with criminals. 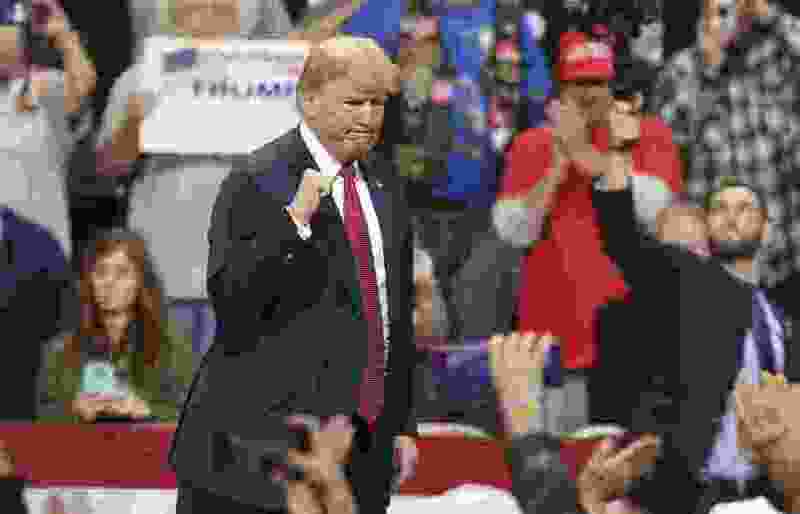 I'm sick and tired of a president who cares so little about right-wing terrorism that, on the very day of the synagogue shooting, he proceeded with a campaign rally, telling his supporters, "Let's have a good time." I’m sick and tired of a president who presides over one of the most unethical administrations in U.S. history — with three Cabinet members resigning for reported ethical infractions and the secretary of the interior the subject of at least18 federal investigations. I'm sick and tired of a president who flouts norms of accountability by refusing to release his tax returns or place his business holdings in a blind trust. I'm sick and tired of a president who can't be bothered to work hard and instead prefers to spend his time watching Fox News and acting like a Twitter troll. I’m sick and tired of Sen. Lindsey Graham, R-S.C., acting like a caddie for the man he once denounced as a “kook” — just this week, Graham endorsed Trump’s call for rescinding “birthright citizenship,” a kooky idea if ever there was one. I'm sick and tired of House Speaker Paul Ryan, R-Wis., who got his start in politics as a protege of the "bleeding-heart conservative" Jack Kemp, refusing to call out Trump's race-baiting. I'm sick and tired of Republicans who once complained about the debt adding $113 billion to the federal debt just in fiscal year 2018. I'm sick and tired of Republicans who once championed free trade refusing to stop Trump as he launches trade wars with all of our major trade partners. I'm sick and tired of Republicans who not only refuse to investigate Trump's alleged ethical violations but who also help him to obstruct justice by maligning the FBI, the special counsel and the Justice Department. Most of all, I'm sick and tired of Republicans who feel that Trump's blatant bigotry gives them license to do the same - with Rep. Pete Olson, R-Tex., denouncing his opponent as an "Indo-American carpetbagger," Florida gubernatorial candidate Ron DeSantis warning voters not to "monkey this up" by electing his African American opponent, Rep. Duncan Hunter, R-Calif., labeling his "Palestinian-Mexican" opponent a "security risk" who is "working to infiltrate Congress," and Rep. Steve Chabot, R-Ohio, accusing his opponent, who is of Indian-Tibetan heritage, of "selling out Americans" because he once worked at a law firm that settled terrorism-related cases against Libya. If you’re sick and tired too, here is what you can do. Vote for Democrats on Tuesday. For every office. Regardless of who they are. And I say that as a former Republican. Some Republicans in suburban districts may claim they aren’t for Trump. Don’t believe them. Whatever their private qualms, no Republicans have consistently held Trump to account. They are too scared that doing so will hurt their chances of re-election. If you’re as sick and tired as I am of being sick and tired about what’s going on, vote against all Republicans. Every single one. That’s the only message they will understand. 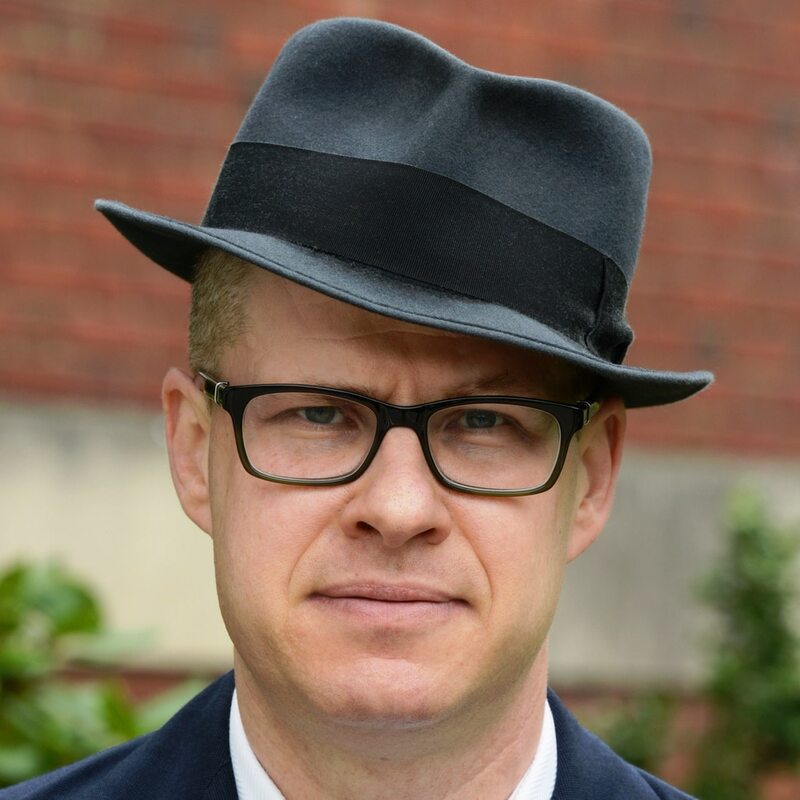 Max Boot, a Washington Post columnist, is the author of “The Corrosion of Conservatism: Why I Left the Right."